Bring water, swimwear, a camera and a towel. 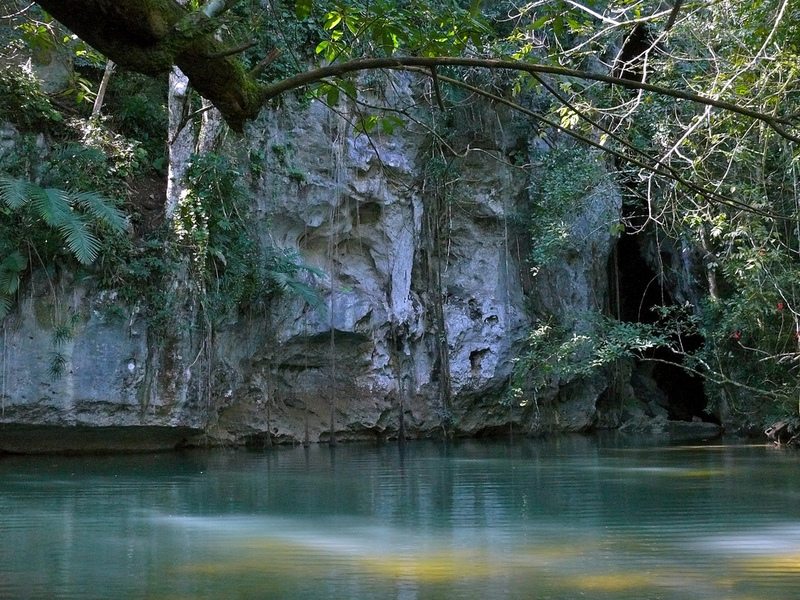 ❧ Barton Creek Cave is a natural cave in Belize, known as both an archaeological site and as a tourist destination. It is located in the Barton Creek area near San Ignacio in the Cayo District. Once used by the ancient Maya as a burial site, Barton Creek Cave's high domed chambers hold many cultural remains including hearths, modified cave formations and human skeletons.